While there are no mountains or oceans to drive a motorcycle around, Michigan has its own fair share of beautiful landscapes to operate your motorcycle near. Whether you want to head to the Michigan dunes or drive around the many lakes in the area, driving a motorcycle on a beautiful sunny day with the wind whipping through your hair can be the most relaxing activity for motorcyclists. However, it can take a turn for the worst when reckless drivers are on the road. Motorcycle accidents are unfortunately relatively common on the road because people are not paying attention to what they are doing while driving. Motorcycle accidents are much more likely to be fatal in comparison to a car accident. Additionally, those who are older and ride motorcycles will have much more serious injuries compared to younger riders. In the most current data, there are on average 92,000 injuries and 4,295 deaths due to riding a motorcycle. Many drivers become easily distracted by unruly children, text messages, social media, eating, music, drinking, putting on makeup, and talking on the phone. Even if there’s not an obvious distraction, drivers aren’t always paying attention to what’s going on around them. Due to negligent driving, it can be easy for a motorcycle accident to occur. If you’re a motorcycle driver, you need to be much more careful because these large cars can easily harm you. If you’ve gotten into a motorcycle accident, then you need a reliable personal injury lawyer on your side. Whether the motorcycle accident is your fault or it occurred because someone didn’t look before they merged into your lane, ZuppkeLaw® can help you figure out the next steps after your motorcycle accident. For legal assistance, contact ZuppkeLaw. ZuppkeLaw is a law firm that serves the Royal Oak and surrounding areas. We are proud to serve the people in Michigan with experienced legal representation for their personal injury cases. One of the areas that we focus on are accidents that occur while on the road. This can include motorcycle accidents, car, truck, and everything in between. Whether that means a critical motorcycle accident or one where you escape with a sprain, our lawyers are knowledgeable in personal injury law and can help you get what you deserve. Our Michigan law firm is your motorcycle injury legal office of choice because we have handled an array of motorcycle accident cases. While we understand that one size does not fit all, we do know what to expect from a motorcycle accident case. Whether or not it was your fault, we’ve had almost four decades of motorcycle accident lawsuits and can come up with a strategy that will get you the desired outcome. Thanks to our experience, you will know that you’re in good hands while you are recovering from your motorcycle accident. We understand that you may not be able to provide for your family or care for them after such a devastating accident, which is why we’ll diligently work on your lawsuit. When you hire us for your motorcycle accident lawsuit, we’ll create a solid strategy to help get you what you deserve after this traumatizing situation. When you come to our law firm, you can expect us to personally handle your case and create a strategy to get you the best possible outcome for it. At ZuppkeLaw®, we won’t accept your case just to refer it out to someone else to handle, we’ll deal with it ourselves and make sure that we will win. Why Should You Choose ZuppkeLaw®? When Winning Is The Only Option®, there’s only one Michigan law firm that you should consider after a motorcycle accident. That choice is ZuppkeLaw®. With nearly four decades of experience in personal injury law, we know what to look for to build a strategy that will ensure you’re satisfied with the outcome. 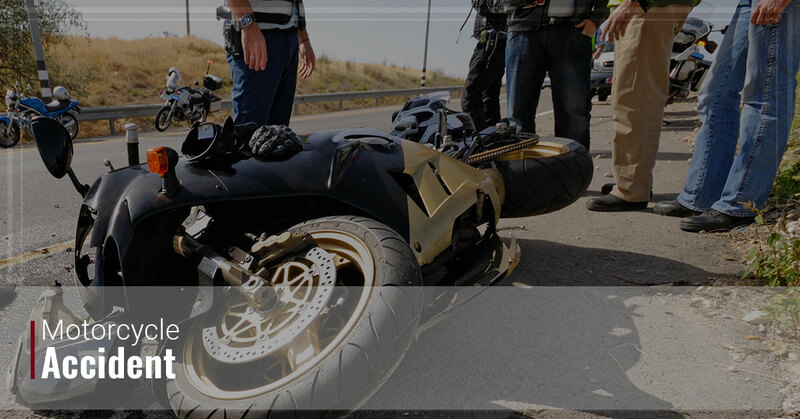 Michigan motorcycle accidents require the skill and confidence that only an aggressive lawyer should handle. When you come to our law firm, we’ll help you get the compensation you deserve by providing an aggressive representation. This compensation can include pain, suffering, and medical expenses. By hiring our law firm, you’ll work with someone who has dedication, motivation, and perseverance to ensure your needs are met. If you’ve recently gotten into a motorcycle accident, then take the time to stop by or contact our office. Our Michigan law firm is conveniently located in the heart of Downtown Royal Oak. If you’ve been injured, then you’ll meet with a lawyer who will listen to your questions and concerns about your motorcycle accident. Once you’ve met with a lawyer, our team will determine what the best route is for your situation and how you can get the most out of this traumatizing ordeal. Keep in mind that as an injured motorcyclist, you shouldn’t try and negotiate on your own behalf, you need an experienced trial lawyer that doesn’t take “no” for an answer. You need someone from ZuppkeLaw to help you fight to defend your rights and ensure you get everything you’re entitled to. We feel very strongly about motorcycle accidents because David Zuppke is a Harley Davidson enthusiast. 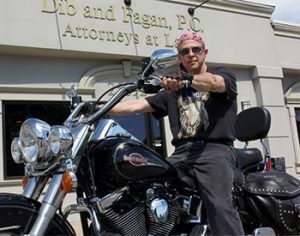 David Zuppke has the knowledge, a unique perspective, and compassion other trial lawyers do not have when it comes to accidents that occur on a motorcycle. For those motorcycle enthusiasts who want to know what he owns, David Zuppke has a black 2005 Harley Heritage Classic. You might even see it in front of our offices when you come in.